At its most basic level Chronicles of Elyria is a fully customizable, skill-based Action RPG in which the absence of classes means you can create any character you can imagine. It is the skills you use that determine which skills you're good at, not something you select during character creation which dictates how you play the game. With dozens of skills across multiple categories including fighting, gathering, crafting, survival, bardic, and deviant, you can design and play the character you've always wanted. Never want to pick up a sword? You can find success as a crafter - either filling a role as a Supplier or Gatherer or as a Producer - without ever using a weapon. In CoE there is more to becoming a master blacksmith than waiting on a progress bar. Requiring fast reflexes and good hand-eye coordination, skill based mini-games for non-combat skills means that for every action the character takes, some degree of player skill is required. The era of auto-attacking is over. If your character effectively swings a sword, it's because you chose the precise moment for them to do so. If your character cuts a Master Emerald, worthy of sitting on the crown of the King, it's because your own nimble fingers made it happen. With a skill system that rewards failure instead of success, and mechanics requiring player skill in addition to character skill, you must take on ever-increasing challenges if you want to be the best. Every character is made up of a combination of skills that span six top-level categories in a skill tree. Combat: A character's ability to fight. This includes fighting unarmed, with 1H and 2H weapons, with thrown and ranged weapons, and utilizing additional tactics such as two-weapon fighting, and sneak attacks. 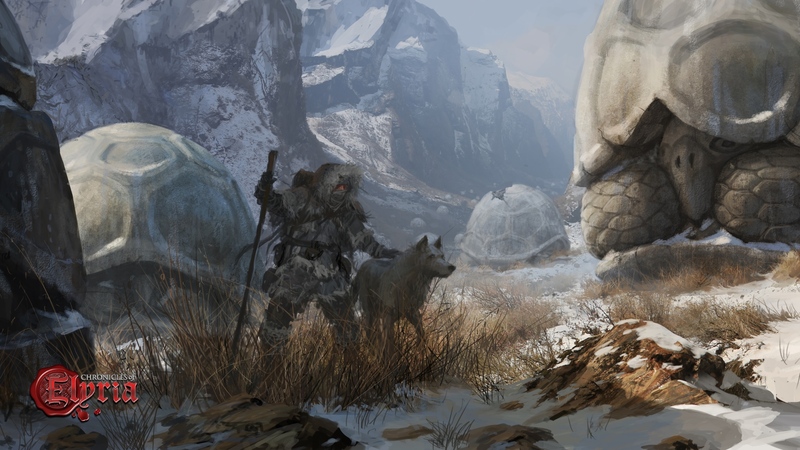 Survival: A character's ability to survive in the wilds. This skill tree is about finding food and water, tracking prey, bandaging wounds, and navigating your way through the wilds. Crafting: A character's ability to produce goods. These can range from consumables such as food and drinks, armors and weapons, furniture, and fine jewelry. Gathering: A person's ability to gather and process raw materials. This includes skills involving the identification and handling of organic materials such as plant and animal byproducts, as well as inorganic materials such as metals and gems. Deviant: Those less savory skills that may aid in surviving more urban areas, if you don't mind the steep risk associated with pickpocketing, purse cutting, crafting false identities, and forging documents. Bardic: The skills of the academic and the performer. Whether it's performing music to embolden their allies, reading ancient languages, performing forensic analysis to track down a murder, or creating finely detailed maps, the bardic tree is about information and discovery. Chronicles of Elyria continues to push the envelope with a system of research-driven technology which lets players determine the direction of research, while allowing us to monitor the rate at which technology is evolving. This ensures we have the technology ready when the players are ready for it. When first crafting a new item you're invariably focused first and foremost on making sure you're able to create the item at a passable quality. However, after you've attained the level of Expert for that specific item you're sufficiently capable of making the item that you can instead optimize for either advanced knowledge or faster production. Research in Chronicles of Elyria is a process of trial and error that is integrated into the every-day act of crafting. It happens automatically in the background without players having to spend time doing the research. Once you attain Expert rank in crafting a specific item, you can choose to spend additional resources each time you craft the item to study some aspect of it in order to solve a problem. These can be things like making a blade stronger, armor lighter or more flexible, or livestock live longer. While it's possible to do research or increase production on your own, it's much easier to do so if you're part of a guild or educational institute. Guilds and Schools often have advanced versions of the crafting stations which allow added benefits. Schools often have crafting stations which allow for safer research while guilds may have versions that allow for safer mass-production. As well, if you do research as part of a guild or school, your ability to discover something is based not only on the time you've spent in research, but also the time everyone else in your guild or school has spent in research. This can result in dramatically increased chance of discovery. There is a trade-off, however. If you perform research on the equipment of an organization, such as a Guild or School, you're implicitly agreeing to share all discoveries you make with the institution. The effect is quite different depending on the institution. If you make a discovery as part of school, they will turn around and make the information freely available to everyone. On the other hand, a Guild will often go and Patent the technology, granting them sole and exclusive rights to utilize the new knowledge.